A few weeks after the much touted – and long anticipated – merger talks between Deutsche Bank and Commerzbank started, they have come to a sudden grinding halt. British politics is changing: there’s Nigel Farage’s new Brexit party; there’s The Independent Group. But will these nascent parties succeed? In this long read blog piece, to attempt an answer, I use a key theory from organisational microeconomics which helps explain both the existence and success of political parties. Short answer? The new parties are probably doomed. An examination of the trends in market share for two of the bank’s previously most dominant business lines (FX and the German derivative securities unit) suggests how tricky it will be for Deutsche to perform the balancing act it requires in order to recover. 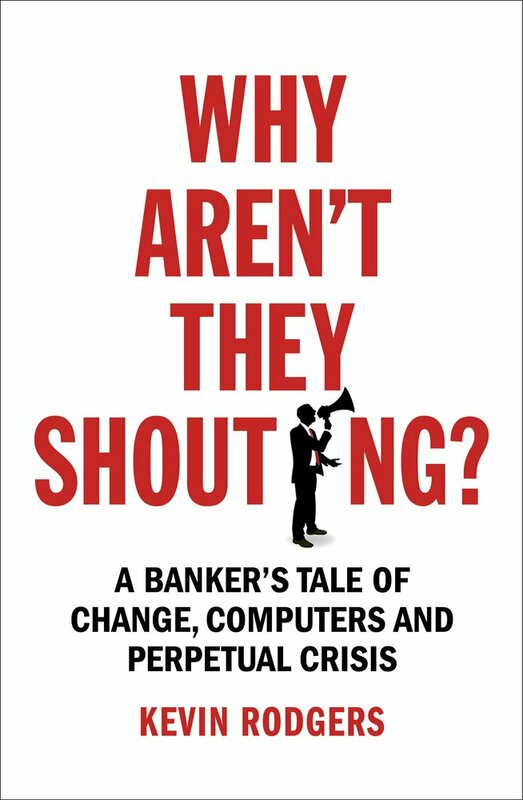 A couple of weeks years ago I gave a talk about my book “Why Aren’t They Shouting?” in front of a group of Belgian businessman at the Belgian embassy. The talk had a mixed reception. One gentleman, who worked at a hedge fund specialising in foreign exchange, took exception to my claim that automation has made the FX market more fragile. Well I hope that, last night, he did not have any GBP/USD USD/JPY positions stopped out near the lows. If he did I’m sure that now he would be more willing to agree with me. Just over twenty years ago, Deutsche Bank bought my old employer Bankers Trust for $10 billion; now DB looks like it may well merge with Commerzbank. My experience of the first deal makes me fear mightily for the success of the second. A year on from the peak of the hype, Cryptocurrencies are under the cosh. They might have to turn back to one of their niche selling points to find a long term role: and that’s privacy. Last Friday, a US jury returned a verdict of not guilty for the three FX traders tried in the ‘Cartel’ case. It’s another random spin of the wheel in the casino of justice – a casino where, win or lose, everyone who is forced to enter faces ruin. Terminated: was Lehman’s death inevitable? On the tenth anniversary of Lehman, it’s worth asking: could it really have been avoided? I just booked some return flights to Malaga; if you work in financial markets it might be vital for you to know when I’m going. Mark Johnson is out of prison, at least for the time being. It’s a small, significant step in the right direction. But it’s just a step. Mark Johnson, the HSBC FX trader found guilty of wire fraud last October and sentenced to two years in jail this April, is appealing his conviction. You should care about the outcome. A number of news items and events this week have made me think about the world of investment banking again after a few relaxing weeks off for good behaviour. They have not been happy thoughts. From rumour, to leak, to background briefing, to common knowledge, to ‘absolute commitment’, to emergency weekend meetings; and from there to a summary firing and replacement – all in less than two weeks. Cryan’s gone as CEO, Sewing is in, and a whole bunch of new problems are just starting for my old shop Deutsche Bank. The press is full of rumours and reports of a bid to get rid of Deutsche Bank’s CEO John Cryan. It won’t solve my old employer’s problems. In fact, it might make them worse. “How is it going?” I asked an old friend from the markets over lunch recently. “You know, Curtains and Tigers,” he replied, cryptically. Thirty years ago today I was given the little bottle you can see in the photograph. It contains crude oil and is an emblem of how the world has – and has not – changed in that time. Can we apply lessons from the trading floor in everyday life? A email from a friend makes me think that we can. So Carillion has gone bankrupt. The interesting thing is why. It’s Christmas and for me that means drinks parties. In the past, knowing that I was meant to be some sort of expert on finance, at least one or two people would ask me about the Euro or UK interest rates or bank stocks or, more usually, internships for their kids. This year? It’s all been bitcoin: more particularly, bitcoin futures. What’s the choke point in a number of new technologies?